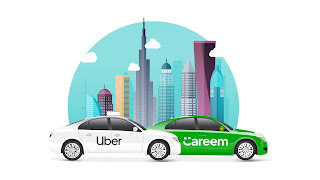 KARACHI: Uber and Careem have reached an agreement for Uber to acquire Careem for $3.1 billion, consisting of $1.7 billion in convertible notes and $1.4 billion in cash. The acquisition of Careem is subject to applicable regulatory approvals. The transaction is expected to close in Q1 2020. Uber will acquire all of Careem’s mobility, delivery, and payments businesses across the greater Middle East region, ranging from Morocco to Pakistan, with major markets including Egypt, Jordan, Pakistan, Saudi Arabia, and the United Arab Emirates, according to a news release issued to PPI Karachi on Tuesday. said Uber CEO Dara Khosrowshahi. said Careem CEO and co-founder, Mudassir Sheikha.